Singapore, 07 Aug 2018 – Olife, a Singapore-based unified digital commerce platform is set to disrupt the digital commerce landscape by enhancing its services through blockchain technology. Olife will be launching its own digital currency, the Olife (ticker: OLIFE) Token, to be used within the Olife ecosystem and traded on the cryptocurrency market. Olife is a multi-purpose digital commerce, messaging, social media and mobile payment application powered by blockchain. Olife seeks to address two major concerns users have online: transparency and trust. 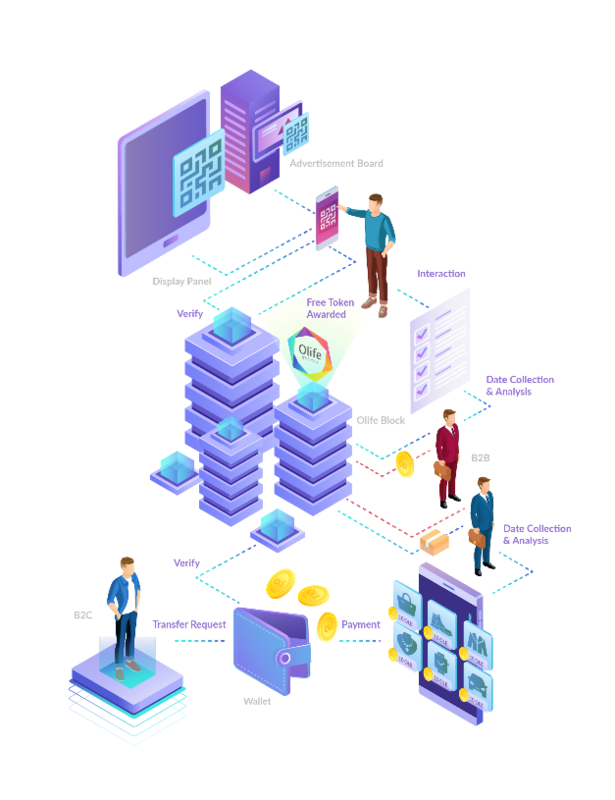 It serves as a B2B2C digital commerce solution built on blockchain and smart contract technology that allows the hosting of master nodes and wallets staking. The application incentivizes users to perform valuable actions by awarding OLIFE tokens. These tokens will hold real world value both in and out of the application. Moreover, Olife will also allow any verified businesses to participate and buy into an ecosystem of customer engagement and consumer market. Nowadays, users are bombarded with an overabundance of online apps. As of early 2018, there are roughly 5.8 million apps spanning across Google and Apple’s app stores. In everything that we do in our daily lives, there will probably be an app for it. In fact, the average smartphone owner uses roughly 30 apps monthly. Ironically, the trend towards more choices has led to the very real and widespread issue of “app fatigue”. Enter Olife, a blockchain-based unified digital commerce app that seeks to be all-in-one platform for users to go to for most of their online needs. With Olife, users will only have to utilise one app platform to engage several functions, such as managing businesses, settling payments, chatting with friends, and even mobile gaming. Olife Pay – Olife will create wallets for each user account – known as Olife Pay, which comprises of a spending wallet and a staking wallet. Within the Olife Wallet, a user can make OLIFE transfers to other users or make payment for a diverse offering of products and services. Personal and Professional Accounts Management – Within Olife, users can create both a personal account and a professional account to allow better separation of the two worlds. Corporate Accounts – Business users may register for corporate accounts with Olife to communicate with other merchants or freelancers within the ecosystem to perform various business functions. Chat Functions – Olife provides a spectrum of communication services, ranging from text messaging, voice messaging, video calls, conferencing, and games to sharing of photos and location. Mobile Gaming – The Olife gaming platform introduces multiple interactive games for continued engagement of the community. Users will be rewarded with OLIFE for accomplishments within the games as well as achieving high scores in the community. OLIFE can also be spent on virtual in-app items. O-Zone (Geo-location Function) – The geo-location function within Olife is known as O-zoning. O-zoning provides a means for digital marketing activities based on the physical location of the user. This enables marketers to directly reach users at locations where they are most likely to convert- e.g restaurants promotions, retail discounts etc. The OLIFE token will be built based on the Ethereum platform until Olife’s proprietary network and blockchain has been built. This is so as to leverage on its efficient balance of speed and token liquidity to ensure users have a smooth experience from start to end. 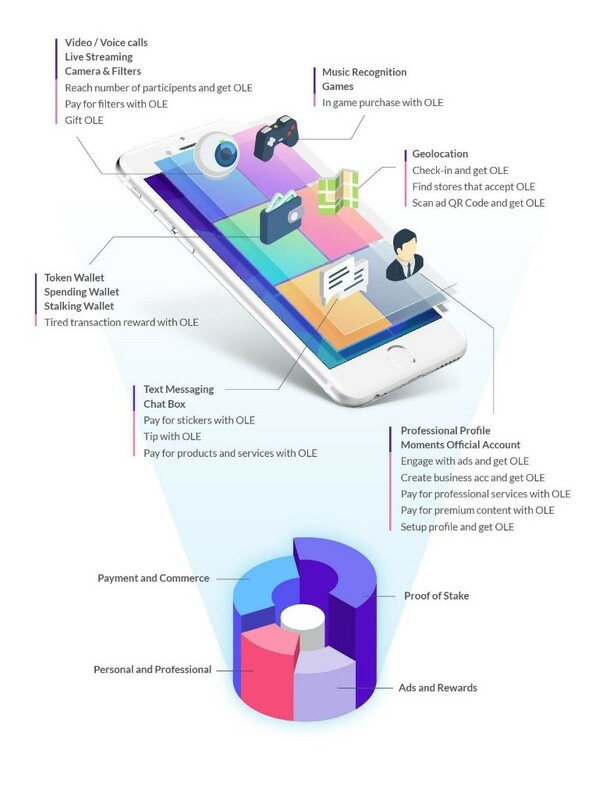 The Olife Ecosystem is built upon six key pillars: Advertisements and Rewards, Proof of Economic Activity, Payment and Commerce, Proof of Stake, Personal and Professional Account Integration, Cross-Chain Interoperability. Together, these 6 core concepts serve as the foundation for the Olife ecosystem and help to establish synergy between digital communication and commerce functionalities within the platform. Olife’s blockchain will facilitate co-innovation and open collaboration for businesses across borders. 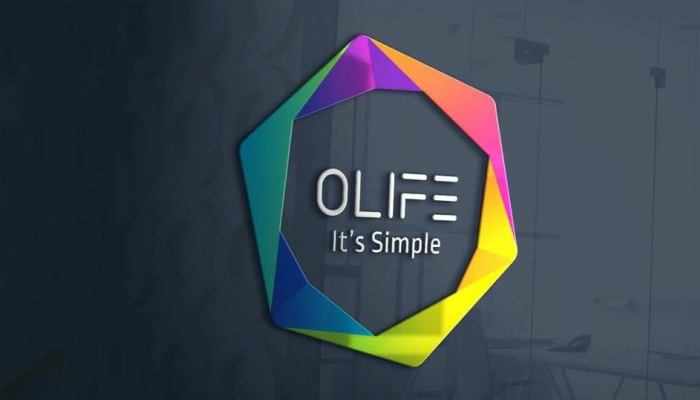 Olife’s main net permits cross-chain communication and consensus application with Olife’s main network’s consensus model as the basis. Businesses can form their side chains and join the cross-chain consensus by loading data that are operable across both chains, so that cross-chain protocols are operable. Olife has also built a stellar leadership team, with one key member of the advisory board being Mr. Anthony Koh (advisory in payment solutions), Co-Founder and CEO of MC Payment. Anthony has built MC Payment up as a leading financial technology and business platform services provider which specialises in supporting non-cash payments across Asia Pacific. “We envision Olife to be a self-sustaining ecosystem, where users are able to weave seamlessly between their personal and professional lives securely, thanks to the benefits of decentralisation. Olife will be the all-in-one app for people to navigate their lives,” said Mr Joseph Lim, Co-founder of Olife. As part of its efforts to drive wider adoption of the platform, Olife will be hosting its introductory event, “Olife Connect” at Golden Village theatres in Vivocity, Singapore on 8thAugust 2018. The event will share more on the Olife app and how to join the ecosystem as an early adopter. Moreover, the event will feature a guest panel involving several notable speakers from the cryptocurrency and blockchain industry. These speakers include Jeremy Khoo, CEO of iFashion; Alfred Chia, Partner at Squire Patton Boggs and Olife legal advisor; Anthony Koh, Co-founder and CEO of MC Payment; and Latif Sim, Chief Information Officer and Founding Team Member at Global Crypto Offering Exchange. Olife is a decentralised B2B2C digital commerce app with the vision of redefining the way businesses and consumers connect. 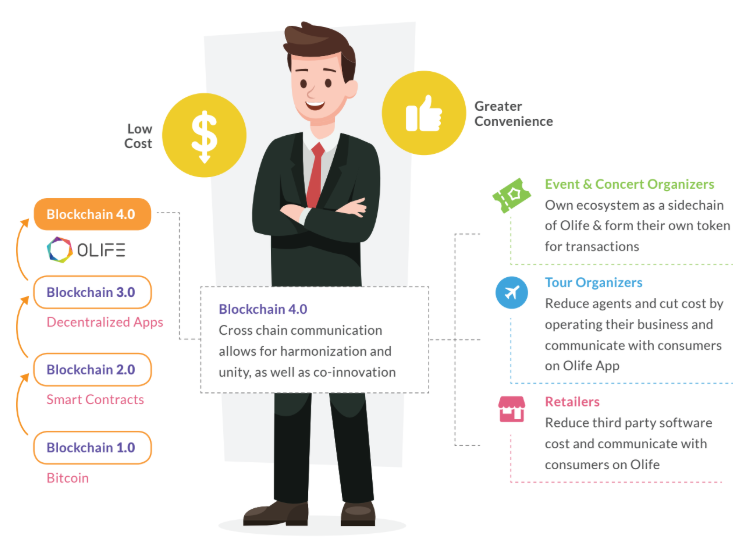 With its own open-source cryptographic token, OLIFE, it allows users to acquire and access various products and services in the blockchain 4.0 era. More information on the IEO can be found at olife.io.